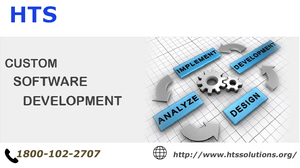 HTS Solutions offer custom CMS Development, software development, digital marketing, App development, Web development, E-commerce Solutions and web designing service. Our most popular product is GETHRM, MonkeyCRM, Livechat99 software which help to organization increase their productivity.We offer all custom software for all customer at very affordable rate.The aim of our company is to provide our clients with quality work; we also aim in delivering your work within the stipulate time. We also take it on ourselves to satisfy your unique needs and demands.